Maria has worked at Welcome Smiles for 21 years as a Licensed Dental Assistant. 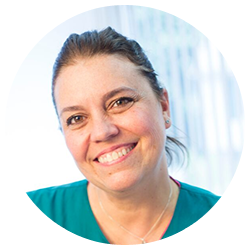 She loves helping people perfect their smile and enjoys giving her patients a comfortable experience in the office. She received her degree at Fanning Health and Technical Occupations. In her spare time, Maria enjoys spending time with her husband, watching movies, and tuning into her favorite TV show, Game of Thrones.